London- The United Kingdom has a responsibility to provide more concessions and support to refugees fleeing the Syrian conflict. 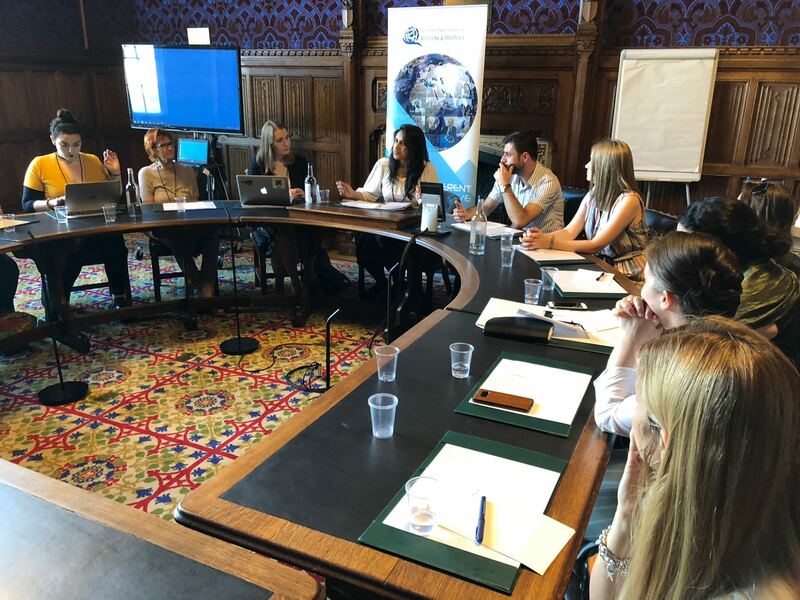 The UK should also protect these refugees from falling prey to human traffickers under the principle of the Responsibility to Protect (R2P), said Sarah Pritchett, Euro-Med’s spokeswoman, during a session in the UK Parliament on the Syrian Crisis and ways to protect civilians. 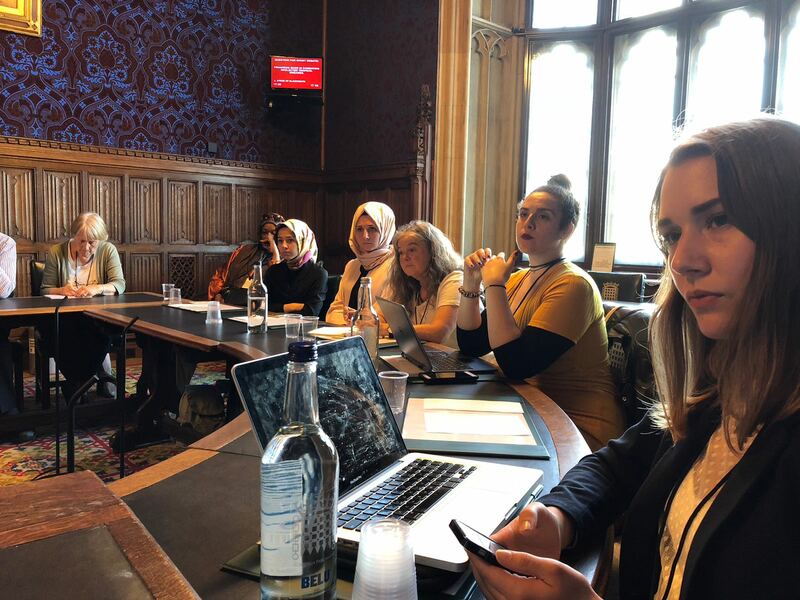 When it comes to protecting Syrian civilians, the UK has two primary responsibilities, and they are specific to the Kingdom’s asylum policy, said Pritchett. The first is to offer protection for Syrian refugees. Legally speaking, this is possible through different mechanisms, including by issuing humanitarian visas to receive refugees fleeing Syria and then to process their asylum applications. 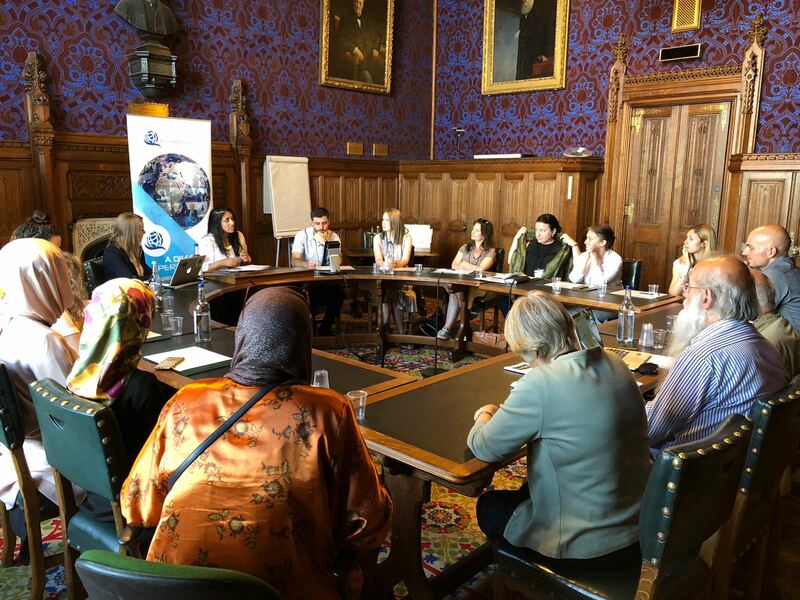 Another way is by providing special sponsorship programs that allow the resettlement and reintegration of refugees into the UK’s social fabric. The Kingdom can further improve the family reunification mechanism as an effective way to receive and provide protection for a larger number of refugees. Under international humanitarian law, the UK’s second responsibility lies in abiding by international law with regard to the use of force among States and in sparing civilians the harm caused by airstrikes on Syria, stated Pritchett, referring to the UK’s involvement in the airstrikes conducted inside the Syrian territory last April. In this regard, Pritchett stated that the airstrikes launched by Britain, the United States and France last April to dissuade the Syrian regime from continuing targeting of civilians with chemical weapons are no less than illegal. In accordance with the United Nations Charter, force may be used legally against another State only in two limited cases: With the authorization of the United Nations Security Council or in self-defense, whereas none of these conditions were met in this case. The UK’s justification of “humanitarian use of force” is also dicey, said Pritchett, adding that, it must be “objectively clear” that there is no practicable alternative to the use of force in order to protect civilians. Unfortunately, no state involved has provided evidence that this was the best and most necessary practicable way to save lives. States should refer to the international law and abide by the dictates of its various instruments when taking action against any other country in order to protect the existing international legal system, to avoid chaos and to provide better protection for civilians, especially that similar cases are rampant with human rights violations to which the international community is turning a blind eye. In light of the Security Council’s failure to end the Crisis in Syria, Sarah called for alternative means, including by activating the Union for Peace mechanism, which was approved by the United Nations General Assembly under Resolution No. 377, allowing the General Assembly to make recommendations, including the authorization of a military intervention in matters that threaten international peace and security. Pritchett indicated that this situation fully applies to the Syrian situation in light of the Security Council's inability to adopt a resolution on the use of chemical weapons in Syria and the repeated use of the veto by Russia and China. Concluding her paper, Pritchett called on the permanent members of the Security Council to work together to find an effective solution to the Security Council's inability to protect civilians, both with regard to the Syrian crisis, and crises in other regions, including the long-term occupation of the Palestinian territories.